Fall River DUI defense lawyer Michael A. DelSignore defends motorists charged with OUI out of the Fall River District Court. Not guilty verdict on an OUI charge at a roadblock with a .15 breath test. Not guilty verdict on an OUI charge involving allegations of erratic driving and failed performance on field sobriety tests. In addition of having a track record of success in the Fall River District Court, Attorney DelSignore has regularly practiced before many of the judges that will hear your case and has handled cases involving the police departments that made your arrest. One thing to keep in mind is that Fall River and Freetown police departments will have a booking video of your arrest, so it is important to have an OUI lawyer file a motion to preserve this evidence. Given that many arrested for OUI in Fall River may be from out-of-state or have a Rhode Island license, it is important to understand the license consequences of an OUI conviction in your home state if you are arrested for OUI in Fall River. Attorney DelSignore can review the license implications of a drunk driving charge so you understand all potential license suspensions. Is this your first time at the Fall River District Court? The Fall River District Court is located at 186 South Main Street, Fall River, Massachusetts. If you are in court for the 1st time for arraignment, the arraignments are typically heard in Courtroom one on the second floor. Pretrial hearings are typically held in courtroom five on the fourth floor. 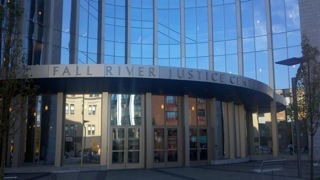 The Fall River District court recently relocated with the new court, also containing the Bristol County Superior Court. Accordingly, the Fall River District Court is a large court that hears numerous criminal matters daily. Attorney DelSignore has several office locations conveniently located near Fall River. Attorney DelSignore has the following office locations and can make other arrangements to schedule a convenient appointment to discuss your case. You can call Attorney DelSignore immediately at 508-455-4755 to begin preparing your defense. You can also reach Attorney DelSignore directly on his cell phone at 781-686-5924.